Over 70 Israeli philosophers have signed an open letter objecting to their government’s efforts to deport African refugees and migrants. “There are currently around 38,000 African migrants living in Israel, and the government argues that expelling them is necessary to maintain the Jewish character of the state,” according to Newsweek. Most of these are from Sudan and Eritrea, but the government has reportedly made arrangements with Rwanda and Uganda to accept those who are deported from Israel. Academics, rabbis, the U.N., and others have objected to the plan. The philosophers’ letter was written and signed in Hebrew (PDF here). The following is an unofficial translation, sent to me by David Enoch (Hebrew University of Jerusalem). Israel has recently embarked on the deportation of tens of thousands refugees from the Sudan and (mostly) from Eritrea to third countries—Rwanda and Uganda. This operation marks the culmination of a long process in which the State of Israel has been neglecting its moral commitment to the refugees. Israel refuses to consider the asylum requests of the refugees, persecutes them, and indeed encourages an openly racist campaign against them. In fact, the State of Israel seeks to deport all refugees in its territory, and refuses to take part in the international effort to confront the current refugee crisis. By doing so, Israel violates its commitment to the Convention relating to the Status of Refugees, a convention that Israel was—shortly after the Holocaust—one of its initiators. Israel thus ignores the memories of the persecutions and closed gates that faced many Jews during the Holocaust era. In the very few cases in which asylum requests were actually reviewed, they were routinely and arbitrarily rejected. The miniscule acceptance rate of such requests in Israel is the lowest in the world. Furthermore, an on-site visit by an Israeli court in the single office where such requests can be filed resulted in an official decision that corroborates claims about bureaucratic harassment and persistent attempts to prevent refugees from even filing in such requests. 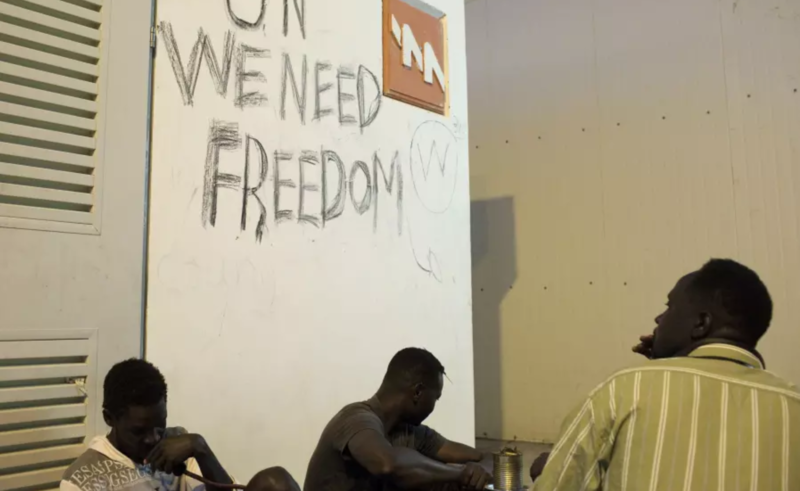 In other Western countries where such requests by refugees from the Sudan and Eritrea are reviewed, almost all of them are granted, and even those whose requests are not fully granted receive protection from deportation, in lieu of the dangers they had fled. Testimonies from Uganda and Rwanda documented by the UN Refugee Agency (UNHCR) and by other organizations indicate that refugees from Israel who had been deported in the past to these countries do not receive protection or recognition as refugees, and often become the victims of human trafficking. Israel is responsible for the safety of those within its territory, and is subject to an absolute prohibition against deporting them without guaranteeing their safety. Unfortunately, Israel has been violating this duty and in effect denying it, while propagating falsehoods in order to try and justify, at any cost, turning its back on the refugees and doing whatever it can to deport them. In this spirit, we have seen attempts to tie the deportation with the genuine hardships of local communities where many refugees live, such as in some neighborhoods in the south of Tel Aviv. These hardships predate the arrival of the refugees, and furthermore, the impression that all Jewish inhabitants of these communities are united in their hostility towards the refugees is badly misleading. More importantly, the attempt to connect the deportation with such local hardships is to be resisted, because Israel can easily combine the much-needed targeting of the traditional, local hardships with a decent asylum policy, and also because nothing about these hardships can justify deporting thousands of innocent people to a cruel fate. Present in Israel today are also many other undocumented immigrants, whom the State does not seek to deport. It is hard to find a relevant difference between them and the refugees from the Sudan and Eritrea, except for the color of their skin. This targeting of specifically refugees from African countries expresses a racist tide that we should all firmly resist. We urge the Israeli government to immediately stop the deportation operation, and to initiate a fair and transparent procedure of granting the refugees acceptable status. We call public opinion, at home and abroad, as well as our colleagues in Academia, members of Jewish communities, human rights organizations and anti-racism organizations to act urgently and do whatever within their power to stop the deportation. UPDATE: Sergio Tenenbaum, in the comments, says: “There is now a petition from Jewish academics endorsing this letter and its call for action. Please consider signing it here.